Starring: Henry Cavill, Amy Adams, Michael Shannon, Russell Crowe, Kevin Costner, Diane Lane, Laurence Fishburne. From Warner Bros. Pictures and Legendary Pictures comes “Man of Steel,”™ starring Henry Cavill in the role of Clark Kent/Kal-El under the direction of Zack Snyder. 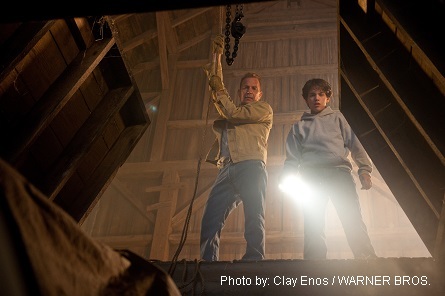 Pictured: Kevin Costner as “Jonathan Kent”, Dylan Sprayberry as 13-year-old “Clark Kent”. 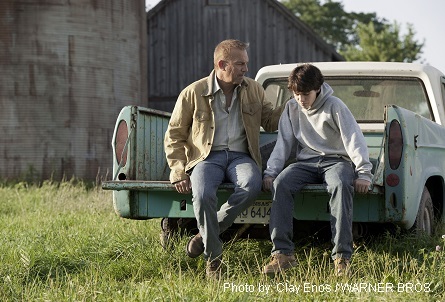 MAN OF STEEL, Warner Bros.
Pictured (l-r) : Kevin Costner 13-year-old “Clark Kent”, Dylan Sprayberry. MAN OF STEEL, Warner Bros.
Pictured (l-r): Amy Adams, Henry Cavill, Antje Traue. 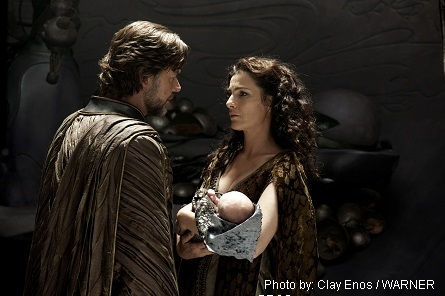 MAN OF STEEL, Warner Bros.
Pictured: (center) Antje Traue as “Faora-UI, Michael Shannon (far right) as “General Zod. 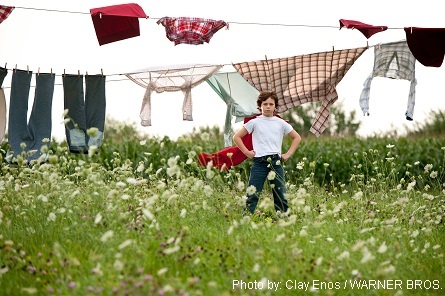 MAN OF STEEL, Warner Bros.
Pictured: Cooper Timberline as a 9-year-old “Clark Kent”. 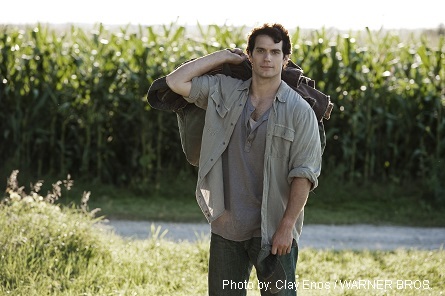 MAN OF STEEL, Warner Bros.
Pictured: Henry Cavill as “Clark Kent”. 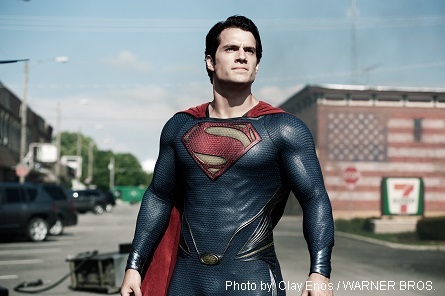 MAN OF STEEL, Warner Bros.
Pictured: Henry Cavill as “Superman”. 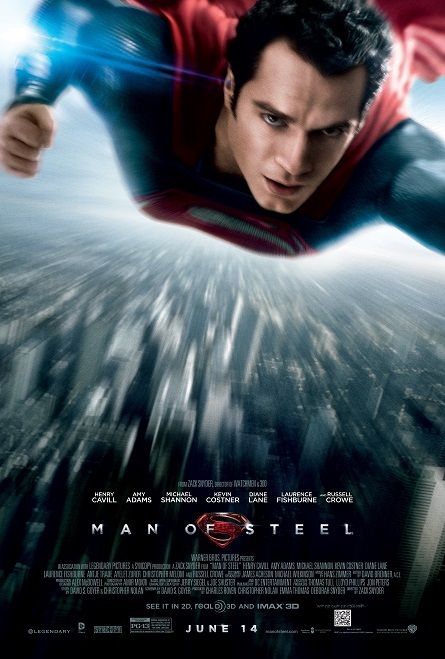 MAN OF STEEL, Warner Bros.
Pictured: Henry Cavill flying as “Superman”. 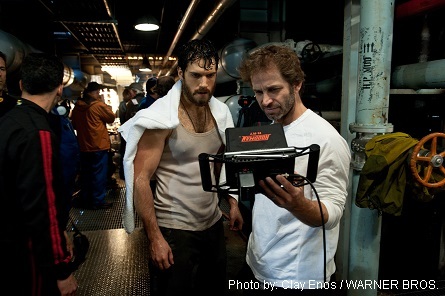 MAN OF STEEL, Warner Bros.
Pictured: Henry Cavill as “Superman.” MAN OF STEEL, Warner Bros.
Pictured: Henry Cavill (left) with director (right) Zack Snyder. 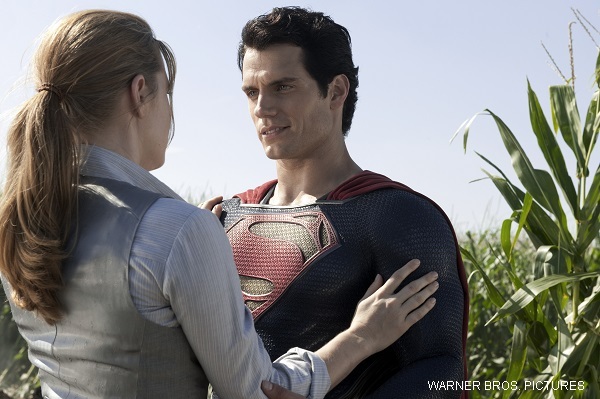 MAN OF STEEL, Warner Bros.
Pictured (l-r): Kevin Costner as “Jonathan Kent”, Diane Lane as “Martha Kent”. 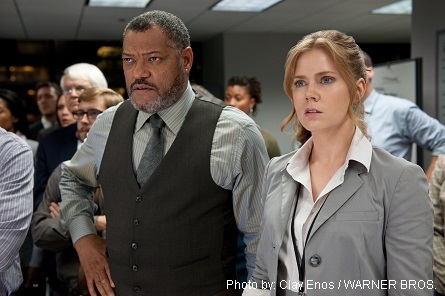 MAN OF STEEL, Warner Bros.
Pictured (l-r): Laurence Fishburne as “Perry White”, Amy Adams as “Lois Lane”. MAN OF STEEL, Warner Bros.
Pictured: Michael Shannon as “General Zod”. MAN OF STEEL, Warner Bros.
Pictured (l-r): Russell Crowe, Ayeler Zurer. 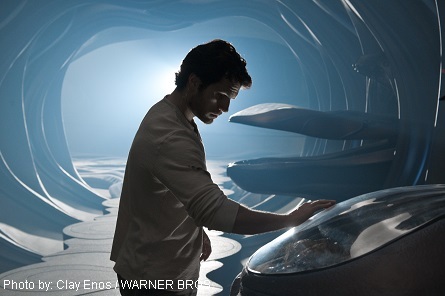 MAN OF STEEL, Warner Bros.
Pictured (l-r): Russell Crowe as “Jor-El, Henry Cavill as “Clark Kent”. MAN OF STEEL, Warner Bros.
Pictured: Russell Crowe as “Jor-El”. MAN OF STEEL, Warner Bros.